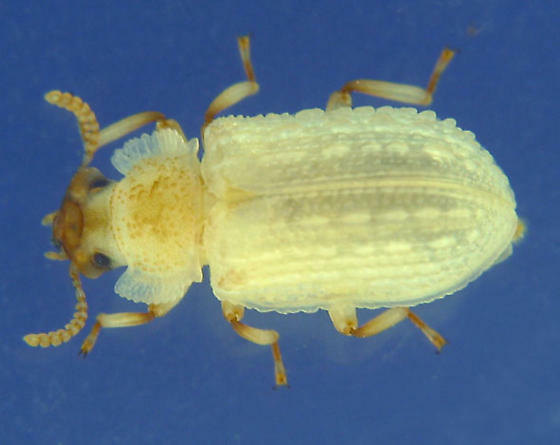 This is the smaller relative of the for*ked fun*gus beetle, which is another 3 - 5 mm longer. I had an idea that's what it might be since I found a pronotum of one when I was collecting the underbark sheet fungus. (If someone has a proper name for that stuff, please let me know.) I tried to save the pronotum but lost it before I could shoot it and compare it with a known specimen. I thought you might like seeing that. It could be the pet beetle of the princess from the Crystal Palace or something.